No website was built with full conformance to the ISO/IEC 40500:2012 (WCAG 2.0) and W3C recommended Web Standards. A group of researchers, led by Wahid bin Ahsan, at User Study & Experience Research Hub (Userhub) conducted a study on e-commerce websites of Bangladesh. The objective of the research was to find out if the e-commerce sites conform to web standards. The study focused on testing against ISO/IEC 40500:2012 (Web Content Accessibility Guidelines 2.0) and W3C recommended Web Standards for HTML & CSS. The research was done on e-CAB (e-Commerce Association of Bangladesh) members. 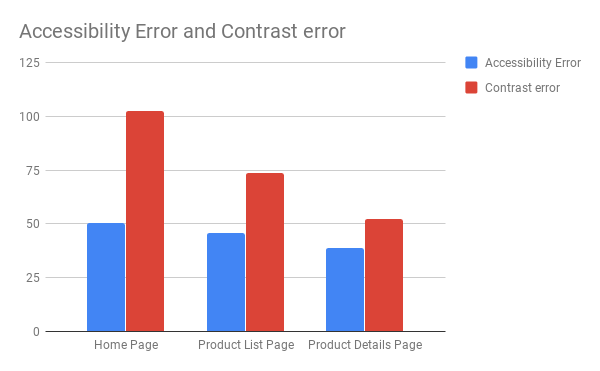 The researchers performed several audit while testing the sites for web standards; Accessibility Errors, Accessibility Alerts, Contrast Errors, HTML and CSS validation. Three randomly selected pages from 174 active e-commerce website was tested: The Homepage, a Product List Page and a Product Details Page. The result of the audit indicate that none of the websites fully conform to the web standards. However, some of the pages of several sites has zero error or warning and has been built according conformance to one of the web standards. This research gives an overview of the state of e-commerce sites on complying to web standards. There are 14 Home pages and 1 Product List pages have no Accessibility Error. Here is the overview of Accessibility Errors Found in the websites. There are 3 Home pages, 2 Product List pages, 1 Product Details page have no HTML validation error. 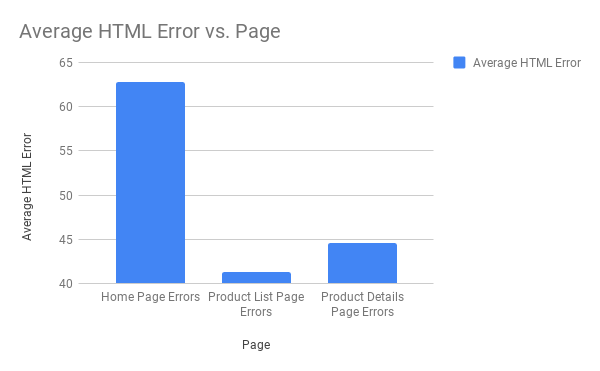 Here is overview of the HTML validation errors Found in the websites. There are 12 Homepages, 2 Product List pages, 16 Product Details page have no CSS validation error. 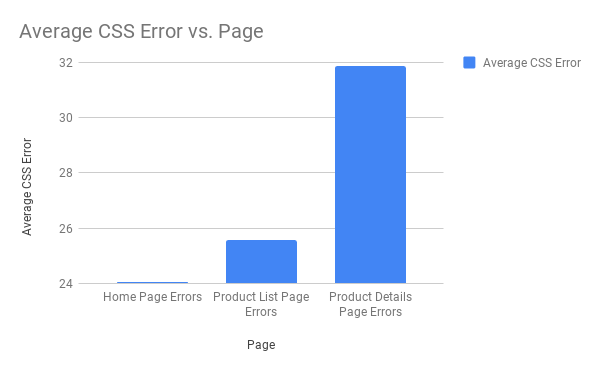 Here is overview of the CSS validation errors Found in the websites. 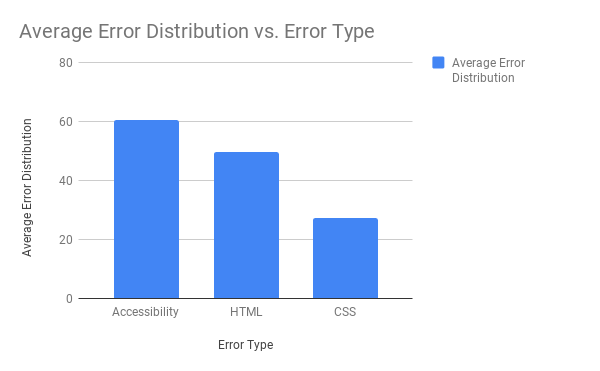 The average error distribution of Accessibility, HTML Validation Error, CSS Validation Error is 60.57, 49.52 and 27.16 respectively. The study result shows that there is no website without any error and warnings. No website was built with full conformance to the established web standards. In some test cases some page of several websites conform to a few of the web standards. The highest error percentage is of Accessibility issues. This research gives us the overview of Bangladeshi e-commerce business ecosystem and finds out the problems regarding its websites. The research will help the business owners to understand the problems and also they will get a guideline to look for solutions to the issues. Websites need to be developed with conformance to established web standards and ensure the best user experience for the users with disabilities and for others as well. We need to focus more on creating websites keeping Web Content Accessibility Guidelines (WCAG) 2.0 guideline, W3C validated HTML and W3C validated CSS standards in mind.